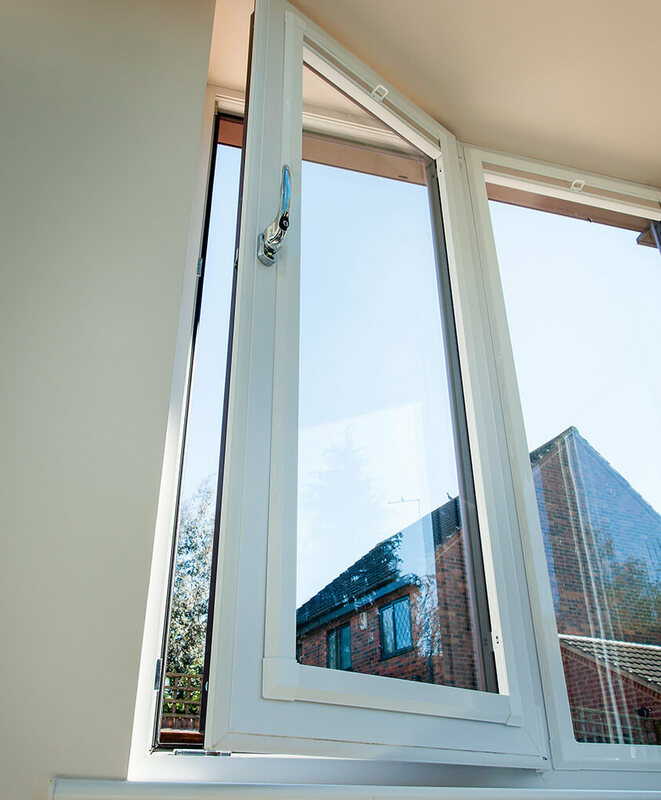 uPVC tilt and turn windows are a fantastic solution for anyone looking for a safe way to ventilate their home and an easy way to clean their windows. Tilt them inwards to provide safe ventilation or fully open them so you can give them a scrub from the security of your own home. 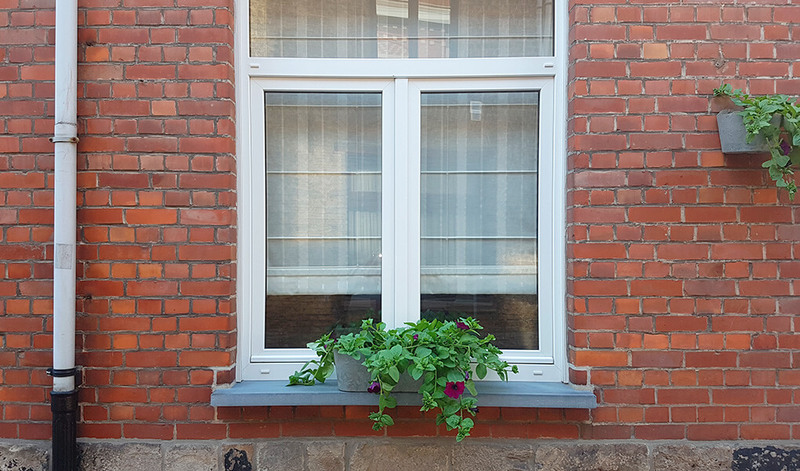 For these reasons, they're commonly found on multi-storey residential buildings and other areas where external window access is difficult. 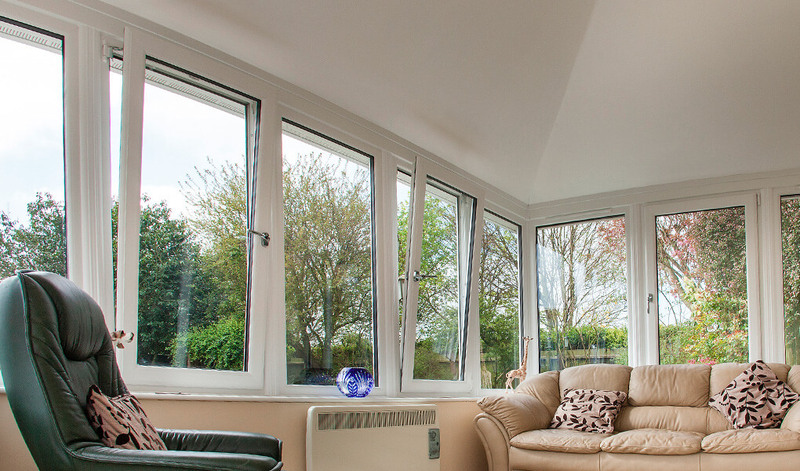 Our tilt and turn windows have been manufactured using uPVC of the utmost quality. This easy to clean material is ultra-durable, ensuring for a window that will last for years to come without having to perform excessive upkeep. Equipped with the latest security hardware, they’ll keep any intruders out of your home for the duration of their lifespan too. uPVC is a fantastic insulator so when combined with multiple heat-trapping chambers the result is an extremely efficient window. This leads to a more efficient home, which will be more comfortable throughout the year and cost significantly less to heat. As well as being highly practical, they don’t lack in visual appeal. This is thanks to frame depths of just 70mm, ensuring for a beautifully sleek appearance. 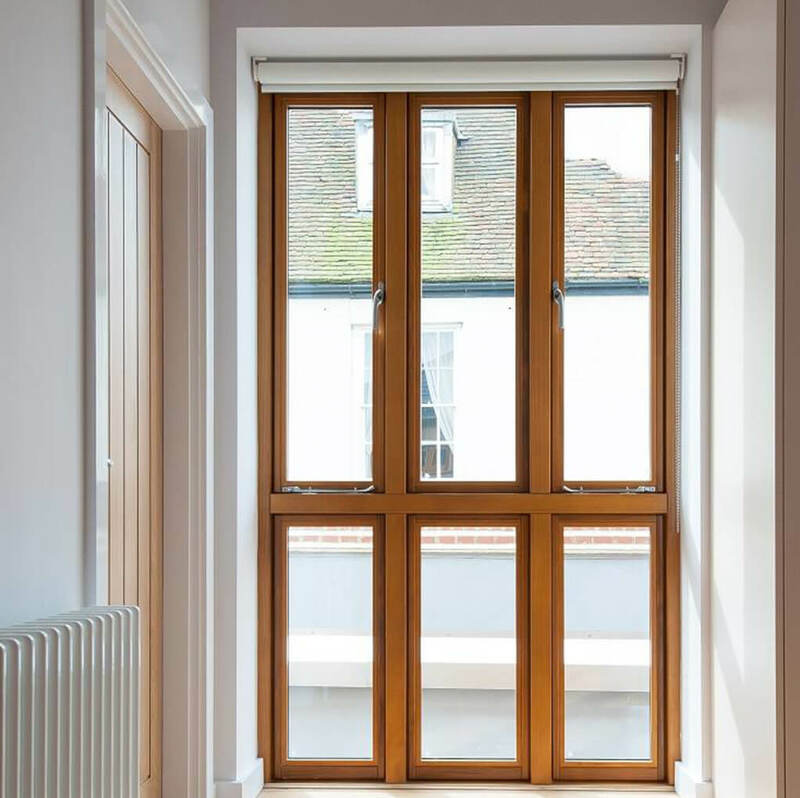 They're some of the most thermally efficient windows available, as demonstrated by Window Energy Ratings of A++. The tilt before turn safety locking system is highly secure and ensures they're suitable for use on the ground floor too. 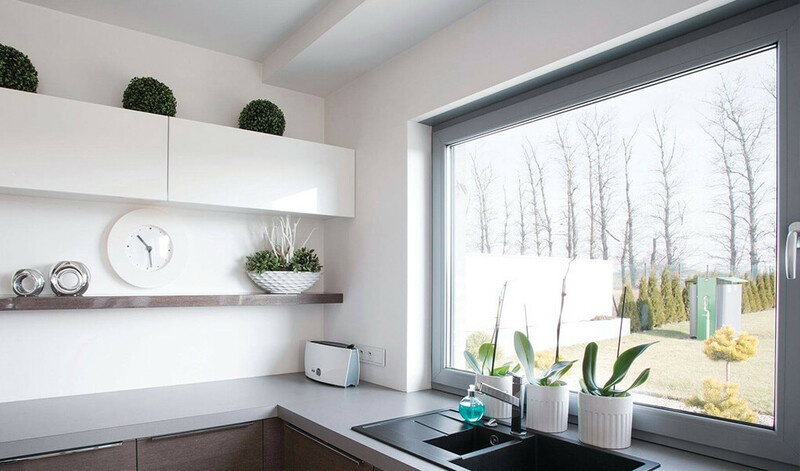 The colour, furniture, and glass can all be customised, allowing for maximum customisation with the design of the window. 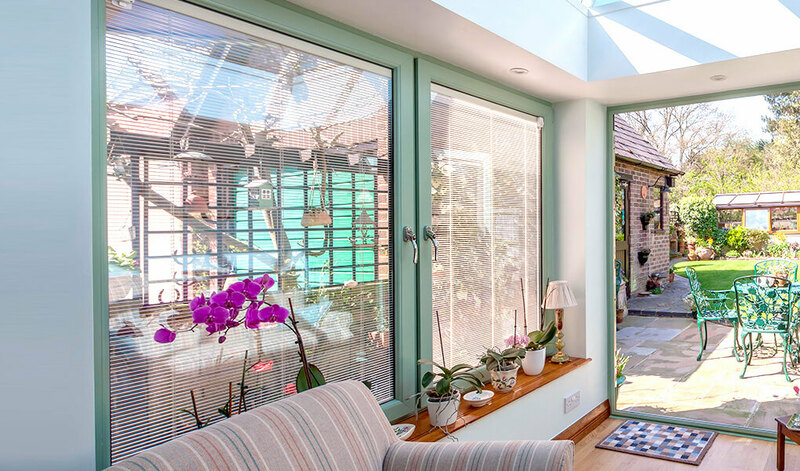 uPVC tilt & turn windows from us here at Premier Windows come in a large selection of vibrant and subtle colours. There's also woodgrain effect finishes, which are designed to emulate timber's natural beauty, to choose from so you can find something that reflects the unique character of your home. We can fit them with either double or triple glazing, depending on your requirements. An ornate glass design of your choosing is also optional. Many of these designs come with the added bonus of improving levels of privacy. Adapt the look of your tilt & turn windows to suit your preferences with a choice of handles, trickle vents, and other smart accessories. Our furniture options come in various colours so you can achieve your ideal aesthetic.